Left: Mayer Herskovic. Right: Taj Patterson. Brooklyn District Attorney Ken Thompson today announced that a 24-year-old man from Williamsburg, Brooklyn was convicted of gang assault and related charges for his role in the brutal beating of Taj Patterson, a young man who was walking in the street when he was set upon by over a dozen people. The District Attorney identified the defendant as Mayer Herskovic, 24, of Williamsburg. He was convicted today of second-degree gang assault and related charges and faces 3 1/2 to 15 years in prison. 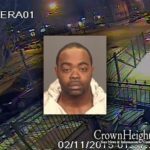 The District Attorney said that, according to trial testimony, on December 1, 2013, at about 4:40 a.m., Taj Patterson was walking on Flushing Avenue in Williamsburg when a man, later joined by other men, started to chase him. The victim ran, but the group, eventually comprising 15 to 20 men, caught up to him near the corner of Flushing Avenue and Spencer Street. The victim was then punched, kicked, stomped and had his eye poked by members of the group, according to testimony. He suffered facial fractures, retinal damage and lost eyesight in his right eye. In the course of the attack, the evidence showed, a sneaker worn by the victim was stripped off his foot and thrown onto the roof of an adjacent building. DNA recovered from that sneaker matches the defendant’s. I have a hard time believing they just beat this guy up for no reason. There must be more to this story. However, if it is true that they beat him up for no reason, then certainly they deserve to sit in jail. Where do you crash at? Haven’t you heard about the incidents in Charlotte, NC and Tulsa, OK?I honestly believe that innocent people can be beaten and killed just because you give your attacker a funny look or you look out of place in the neighborhood. I’m finding out that many people are becoming thin-skinned nowadays–you look cross eyed at them and they’re ready to fly off the handle. In neither case was a person hurt for no reason. In Charlotte a worthless criminal refused to drop his gun when the police repeatedly demanded it, and paid the price. In Tulsa the cop saw his hand reach for the car window, and she thought he might be going for a gun; whether her fear was reasonable or not will be explored at her trial, and if it wasn’t she’ll pay the price for that, but what’s 100% clear is that she didn’t shoot him for no reason. I’m sorry to say this but good riddance!! If you decide to boot stomp some guy because you don’t like the way he looks you belong in jail Yid or otherwise!! What about the DNA on the shoe? What a vicious thug – look at the expression on his face, arrogant idiot. Sorry people, even if the victim did provoke an attack by calling out something or whatever, there is no excuse for such violence. He deserves to sit, although I can’t imagine he will be very safe in prison. Midah keneged midah. Do you consider yourself frum? You’re a sick person. You don’t know any facts about this case but now you’re wishing prison time for this guy. Theres no evidence that he even threw one punch. This guy is getting the blame for other people’s actions with hashems help he’ll be successful in the appeal. its a joke!! and its not the full story! what if it was the other way around???? how many of the african american community go to jail for an assault?? for that matter …. murder????? For real?? The african american community is twice as likely to go to jail for violent crime than a white male. These are federal crime stats that are publicly available. Shimonshak, those same stats show African Americans commit a disproportionate amount of crime compared to their pop. % also they are repeat offenders and do not hire lawyers. Not to mention news story after news story of “teens” (african americans) being given lenient sentences only to commit more violent crimes after being released. He should be free (even though he beat a man until be was blinded) because he’s our brother?…That is not justice. That is not our way. I am apalled at the same time chuckeled by these comments…. ok so hes a yid….,(or so looks like externially).. therefore what? is that the freedom key to do as you please to anyone you desire. Violence is never good, however unfortunately there have been many cases where the blacks have attacked the Jews and gotten away with it. Now when it’s the other way around everyone is screaming at the Jew. Similar to Eretz Yisroel, when the Arabs ym”s offend the world is quite but when the Jews do something they scream. Nothing happened to his attackers. Only when a jew defends himself then he gets jail time. There must be more to this that has been reported. 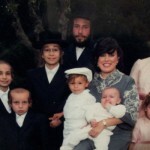 It is difficult to believe that a fellow Jew would do such a thing. Something is not right here. Why do u assume this man was innocent? Dont u know police LOVE these scenes so they can show the blacks how much they really do care about them? When was the last time they treated similar incidents where the victim was Jewish but the perps were black with the same enthusiasm….? It doesn’t matter if he killed someone, they had no authority from anyone to take action against him. They also did it while using racial slurs so then it became a hate crime. It almost went nowhere but then the victim’s mother demanded justice. A Jewish mother would have done the same thing. 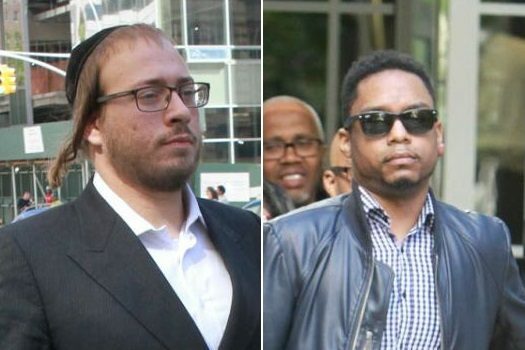 I did not think that shomrim groups had the legal right to blind someone, even if that person was breaking into cars which apparently the victim was not. What do you mean they had no authority to take action against a criminal. What authority does anyone need? Do you think the police are special? Shomrim exist to protect our community, and that means taking action against criminals. If they see a crime being committed they have the same right as the police to arrest the criminal. Of course New York law does not allow them to beat him up unless it’s necesary to effect the arrest, but New York law has already had its say; we are discussing how we should feel about it, and we only care about Torah law. Was this person actually innocent? I don’t know, and neither do you. His word doesn’t prove anything. It doesn’t matter what names they called him (for which, by the way, there is no evidence other than the victim’s word); calling someone names is not a crime. Their motive for the attack was suspicion that he was breaking into cars, not his race or orientation or anything else, so even if they were mistaken it was not a hate crime. His decisions are all political. Gets his directives from his owners. Even if the low-life deserved it and you are morally justitified, the system in the US prohibits excessive use of force, even if he/she commited murder! Look what they do in Israel, for killing an outright terrorist, who was in the act). If you were any more heavy on the cliche your monitor would tip over. After the pogrom, there was an incident where a black guy was pilfering clothing from the Kollel, behind 770. So, some guys beat him up. This caused a media sensation. People who commit violence while making racist comments often get sent to jail. If this black man had done anything wrong, a group of “shomrim” should have and could have cuffed him or pinned him down and called the police to come get him. To poke out his eye and beat him, etc., is disgusting. And then to spend half this post pleading the case that Jews should not be responsible for this is also criminal. Moshiach will come when all the Gentiles take on the Seven Noahide Laws and the Jews help them do so as G-d told them to do on Har Sinai. This is NOT the way one performs such a request from Hashem.